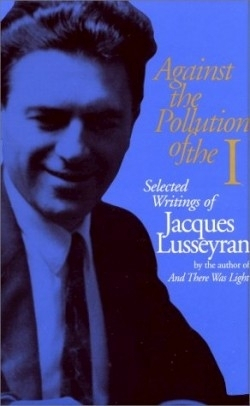 Blinded at the age of eight in a schoolyard accident, Jacques Lusseyran (b. 1924) nevertheless managed to attend university and become a prominent teacher in his native France. A brilliant student, gifted with political courage and extraordinary memory, he understood from his youth the importance of the upheavals in Germany and perfected his German language skills only to learn shortly after of the devastation wrought by the rise of Hitler. By 1943, during his university years in Paris, the blinded Lusseyran had become a key member of the French Resistance, and was rewarded for his efforts by repeated interrogation by the Gestapo and eventual internment in the harrowing Buchenwald concentration camp. Linking the concerns of readers attuned to physical challenge and the devastation of modern genocide, this series of six translated essays extends an earlier collection of autobiographical writings (And There Was Light) and brings into clear view a remarkable confluence of meditations on the status of sightedness (in the very broadest sense) combined with an account of the holocaust from the pen of a writer who lived through its horrors without “seeing” those horrors in the conventional sense. Essays with titles such as “Blindness, a New Way of Seeing the World” and “What One Sees Without Eyes,” make explicit the author’s firm conviction that moral and religious development of the inner self accelerated in his case by the fact of blindness-provides the only refuge worth seeking in an often painful world. His sense of spiritual inwardness as the most valuable and rewarding human dimension thereby extends his essays beyond a mere description of visual “disability” and performs the vital social and literary alchemy of knitting together the transformative experiences of suffering and enlightenment.